91% of tenants would prefer to pay for their rent and bills together in one monthly payment. Our partnership scheme allows your company to offer this service to your tenants, whilst also enabling you to earn a monthly revenue in doing so. 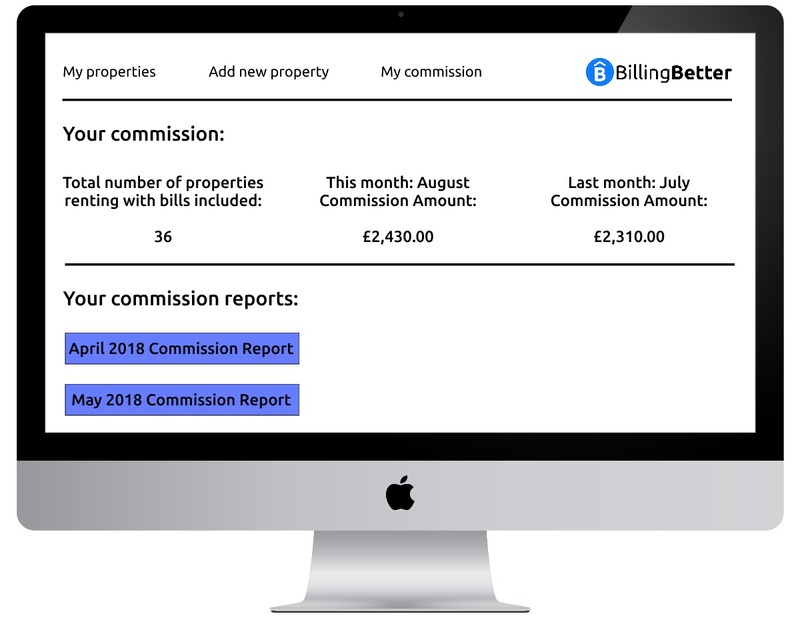 "We've been working with the team at Billing Better for a while now and I am continually impressed by the growth they have shown. This business is one to watch and I'm excited to be coming along for the ride." Felix Henderson, CEO at Bubble Student. "Goes without saying Jack and his team come highly recommended. They are hard-working and conscientious individuals with a great product. They have been fantastic to work with and couldn’t ask for a better service." Package up your tenant's rent and bills to offer the service tenants want. 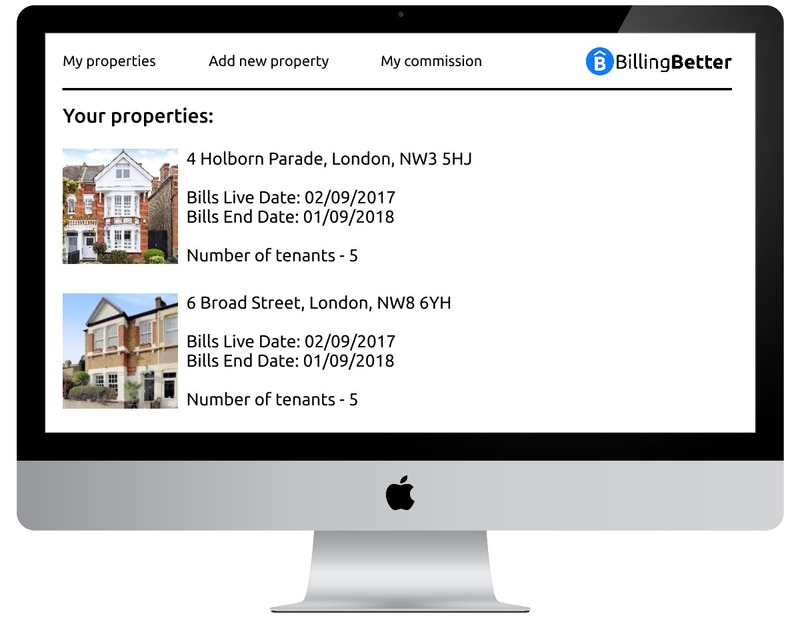 By working with us you can choose which bills you'd like to include within this and Billing Better will manage all elements of the bills with the tenants directly. Use our API to create your own billing service within an app or website. By white-labelling this service you add another dimension to your business, extending your user life-cycle and giving users more of a reason to come back to your platform. If you're looking for more of a traditional partnership, we work with partners who refer tenants to our service by word of mouth, physical literature and email marketing. We'll give you a unique promo-code to track your referrals. Manage a portfolio of AirBnB or Rent2Rent properties? We can manage all the utilities in all your properties, invoicing you once per month for these bills. We'll keep you on the best deals by always checking the market and switching where necessary. 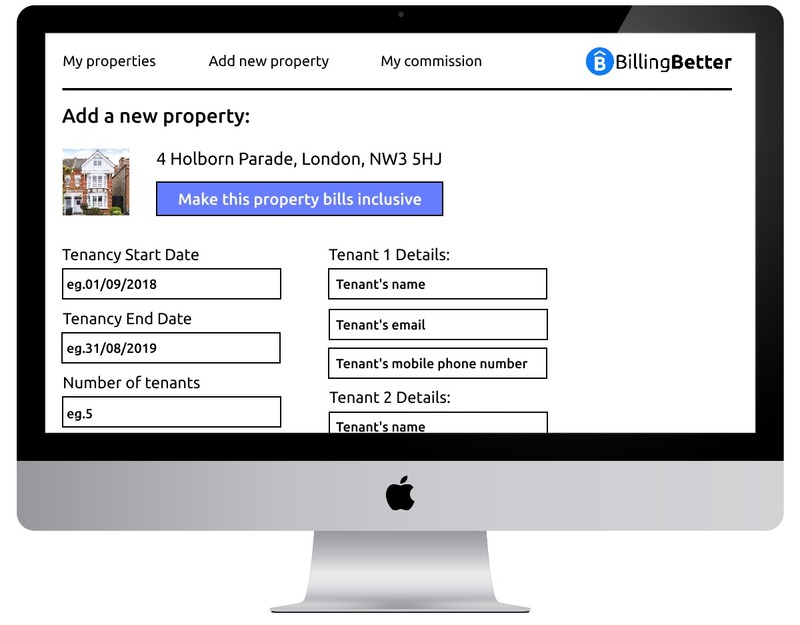 Our simple to use Billing Portal enables you to seamlessly add properties, track commission and log any issues direct to your dedicated account manager. *Your Billing Portal is only available with the Rent and Bills Inclusive partnership. Billing Better deal with all elements of the bills, from meter readings to initial utility notifications. We communicate with the tenants directly throughout. We get it right the first time ensuring the bills are accounted for in the prices you charge your tenants, instead of charging an end of tenancy fee to the tenants. Integrating with Billing Better is easy with your Billing Portal. We'll upload all your properties, you just add the tenant's details and we'll do the rest!